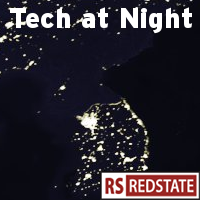 Tech at Night: The Return of the Revenge. Google Motorola deal approved. Spectrum. Skeptical of Telecommunications Act changes. Yup, I’m back. And I have roughly a week’s worth of stuff to cover, so let’s go. Top story seems to be that The Obama/Holder Justice Department has no problem with Google’s vertical integration takeover of Motorola Mobility. Interesting. I also await word on whether Google will drop all aggressive patent lawsuits, as they claim to use patents only defensively. Some people never learn. Google and Microsoft support the runaway FCC against Republican attempts to constrain the regulators to using clear, consistent, fair rules for spectrum policy. Sure, I understand that some such as Darrell Issa are unhappy about the unlicensed spectrum restrictions, but my view on this bill is mend it, don’t end it. What we do need to end is the ability of the FCC to micromanage industry by managing the FCC in a reasonable and responsible way. Greg Walden’s bill should pass in some form. Hello. Yes, I’m late again. But I’m genuinely starting to have fun with OpenGL ES 2. So Tech at Night got to wait a bit. Sorry! 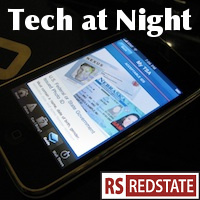 Anyway, as I usually do when I have a link to a RedState article, I’ll start tonight with it. RedState Insider suggests cutting the budget while implementing better policy by eliminating the Agriculture Department’s venture into tech subsidy, the Rural Utilities Service. We don’t need to spend billions to have government compete against the private sector. Even if we wanted it, and we don’t, we simply can’t afford it. What’s the USDA doing in tech policy anyway? Welcome to the remarkably early Tech at Night tonight. When I have my initial preparation done by 6pm, I’m not going to stay up until midnight to do the actual writing. Not gonna do it. Wouldn’t be prudent. We start with some mild bad news: the resolution disapproving of Net Neutrality has been delayed. Fred Upton is getting recognition for his active work challenging the Obama administration on its overreaches, and Greg Walden’s subcommittee seems to be following suit nicely, but we will have to wait on this one particular vote. The Democrats are definitely worried, though. Apparently it’s a bad thing that the FCC’s ability to act ahead of the Congress. Haven’t these Democrats ever heard of actually passing legislation to deal with new challenges? Net Neutrality is taking a real pounding this week. The Heritage Foundation has come out shooting, calling for a major rollback in the FCC’s authority, including repealing Net Neutrality legislatively. Also, The US Chamber of Commerce is calling upon the FCC to be held to the President’s standards for regulatory review, which would certainly put Net Neutrality at risk. But its supporters press on. Even as GoGo Inflight Internet offers non-neutral Free Facebook access (just wait until the radicals start telling us that free stuff is bad! ), Andrew McLaughlin says the Egypt situation proves the need for state control of the Internet through Net Neutrality. Try to figure that one out. I sure hope Vint Cerf didn’t feed him that line. He has a reputation. Good evening. The Communication Workers of America are making a cowardly little statement in favor of Net Neutrality, as they simply must be team players even though they know the radical left’s agenda threatens to kill their own jobs, but for the most part the left still wants to move on from Net Neutrality. There are good reasons for that. First, one of our predictions from before is already coming true. They’re coming after content, already. Louise Slaughter is pressing the FCC to institute a sweeping campaign of censorship online. Free Press is on the case, too. Speech that regulators disfavor must be “curbed,” she thinks. Remember when we were assured that the FCC should show “forbearance,” and that the FCC’s Net Neutrality power grab wasn’t a free speech issue at all, but just a network management issue? Of course. Of course. Earlier this week I mentioned a story at Safe Libraries exposing American Library Association astroturf promoting the radical Free Press agenda on Net Neutrality. Now, the ALA does not come into this debate with clean hands. The ALA has taken stands before, notably to protect terrorists from being caught by the FBI. But now they’re getting aggressive. As a result of the publication of this blog post, apparent ALA supporters, if not ALA members or the OIF itself, have initiated action at Wikipedia that resulting in efforts to stop my editing there or to have me remove this blog post. Self-censorship, as the ALA would call it. At this moment, I have been indefinitely blocked from editing, likely in part because I have not removed this blog post. The ALA will defend the “civil rights” of terrorists, but will silence anyone questioning the activities of the ALA. How convenient. Next week the FCC meets to make a decision on Net Neutrality. So there’s plenty going on as all sides press the FCC to do one thing or another. Some are lobbying more competently than others, though. Doing well are the Senate Republicans who prepare to fight and the incoming House Committee leadership who are getting loud on Net Neutrality and the runaway FCC. Doing not so well are the forces of regulation caught this week making bad mistakes. First is the fringe neo-Marxist group Free Press. The Free Press tech brain trust made a terrible technical mistake on its website by sending anti-Comcast letters when they promised to send pro-Internet Takeover letters. Second we have radicals Media Access Project and Public Knowledge lying about Amazon’s Net Neutrality position, making the firm out to be taking a hardline pro-Internet Takeover position when in fact the firm supports a modest compromise. If the radicals can’t even run their own lobbying efforts correctly, why should we trust them to run the entire Internet? Good evening. Sure, it’s technically morning, but when I went to post tonight I realized I had nothing queued up to write about, so I had to make a crash run through my news feeds before I could get started. But get started we shall tonight with Apple and the Library of Congress. The Library of Congress is apparently entrusted with setting rules for what forms of reverse engineering are allowed under the Digital Millennium Copyright Act, a landmark bill which included (over)broad restrictions on software. In short, the DMCA pretty much bans reverse engineering or circumvention of software or hardware that enforces copyright. Exceptions are given though, and the Library of Congress has announced some more exceptions. One of them is a doozy: Both major forms of Apple iPhone “jailbreaking” are now expressly legal in this country. It is allowed to circumvent Apple’s restrictions to install legitimate software otherwise inaccessible through the App Store. It is also allowed to buy a used iPhone and circumvent the AT&T carrier restriction in it. In practice this might not mean much, as jailbreaking activity was already strong due to clear legality in other countries from the start. That fact forced Apple to fight jailbreaking technologically, rather than legally. But now the full might of American engineering may be brought to bear on iPhone jailbreaking, and Apple might have a tougher time going forward. It’s Friday evening, and mentally I’ve almost checked out for the weekend, but I still have a lot to get through here, so let’s get going before I zone out with some Horatio Hornblower (a series I’ll start on this weekend thanks to a neat site called Age of Sail). One big story is that Amazon may be trying to broker a Net Neutrality compromise. Amazon is, like Google, an Internet firm that stands to benefit greatly if ISPs are pounded into the ground by the FCC. But, as Amazon’s Paul Misener points out, “there have been almost no Net neutrality violations.” So Misener suggests, to cram his full piece into a few words as best as I can, that Internet routing be allowed to be more flexible and yes, payment enhanced, as long as everyone gets a shot at it. Fairness does not demand a socialist leveling of everyone onto the lowest common denominator of service. It’s good to see at least some Net Neutrality proponents understand the way the Internet works both as a business as well as a technology, and can cut through the socialist ideology to start proposing reasonable compromise. I hope to see more talk of this nature. Good evening. I’ll get started on tonight’s overview right away by taking a look at Free Press, and some new information pertaining to that neo-Marxist organization dug up by Big Government. Specifically, when co-founder Robert McChesney isn’t dreaming of a total government takeover of all the media in America, creating a “media reform” of single-payer, state-controlled news nationwide, he’s defending Venezuelan dictator Hugo Chavez. Why? Because Chavez has implemented “media reform,” of course. That’s right, what Free Press wants for America is what Hugo Chavez has done in Venezuela. Ponder that the next time they tell you Net Neutrality is a harmless technical matter. And make sure to read the whole thing over there. Big Government really does do good work.